The CEO of Capital Oil and Gas Ltd and founder of Ifeanyi Ubah football club, Dr Patrick Ifeanyi Ubah (Ebubechukwuzo) the hopeful candidate for the Anambra South senatorial Seat come 2019, is set to unveil his latest project called one family, one football. This is coming just few months after the Russia 2017 world cup that he single handedly sponsored over fifty youth of Anambra origin to Russia, to watch the world cup matches live, all expense paid by him. The 1 Family , 1 Footballer Initiative was developed to enhance the chances of the African child in the world of sports and football. This Initiative has been evaluated and certified by the World Football Body, FIFA. On Saturday, the 15th day of September 2018 , the world football family and lovers of the game of soccer, as well as well wishers of Dr Patrick Ifeanyi Ubah will troop into Anambra State to witness the official unveiling of the "ONE FAMILY, ONE FOOTBALLER INITIATIVE" set to take place at the FC IFEANYI UBAH STADIUM, NNEWI/OZUBULU,which is the home ground of Ifeanyi Ubah football club. Dr. Patrick Ifeanyi Ubah ,during an interactive session with the Anambra State Social media Influencers in his country home Nnewi, declared that it will be one in a million kind of event that will witness great influx of guests across the Country and diaspora. Parents are hereby encouraged to bring their child along. The Official App of One Family, one football will be lunched also. The One Family, one Football project is aimed at producing reliable and time tested footballers across Africa who will be able to break the jinx and lift the world cup in no distance time. Over the years, the African continent have not been able to achieve commendable milestones in the world football stage. Hardly do any country in the continent go beyond the group stage in the senior world cup games . As at today, football is one of the best paying occupations in the world. This became a cause of concern to Dr Patrick Ifeanyi Ubah and his luminous search for a lasting solution gave birth to one family, one football initiative..
One family, one Football, is aimed at catching the African child young and exposing them to the game of football at a tender age. Its obvious that majority of the countries in Africa don't take sports /football serious, by commission or omission. This has greatly depreciated our chances in the field of play. 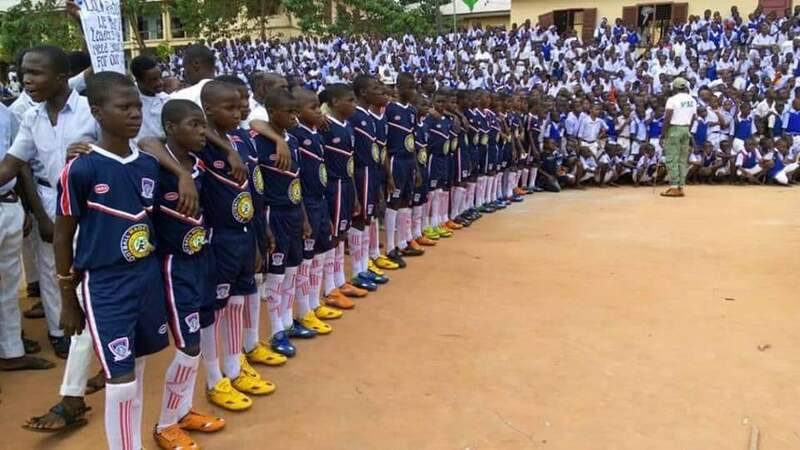 Dr Patrick Ifeanyi Ubah is hoping to recruit and train young Africans who will be the future of the game of soccer in Africa. The one family, one football initiative is aimed at bridging the age gap in African football. It is no longer news that every season, hundreds of Africans get disqualified in tournaments because of over age. With the help of one family:one football, youngsters between the age of nine to eighteen will be trained and their potentials maximized . This will help them start early and prevent age cheat and early retirement , thereby saving Nigerians and Africans the humiliation and lose that normally comes with age cheat. It's wise to note that age cheat can affect the moral of a team if one or more of their playmakers are disqualified because of being over aged. One Family, One Football is a blockbuster because, it will help in bringing Ndi Anambra,Nigerians and Africans the needed platform to experiment, implement and excel. With one family, one football, children will no longer look far in their search for career and passion. The one family, one football "APP" is designed to make it accessible to the common man on the street. Parents can register their ward or child through the one family, one football app . Visit www.1f1f.ng and log on to the app. Registration can only be done once. Post a minute video of your child skillfulness on the game of football, who is between 8 to17 years and have him develop a career in football. Dr Patrick Ifeanyi Ubah, making our dreams a reality!